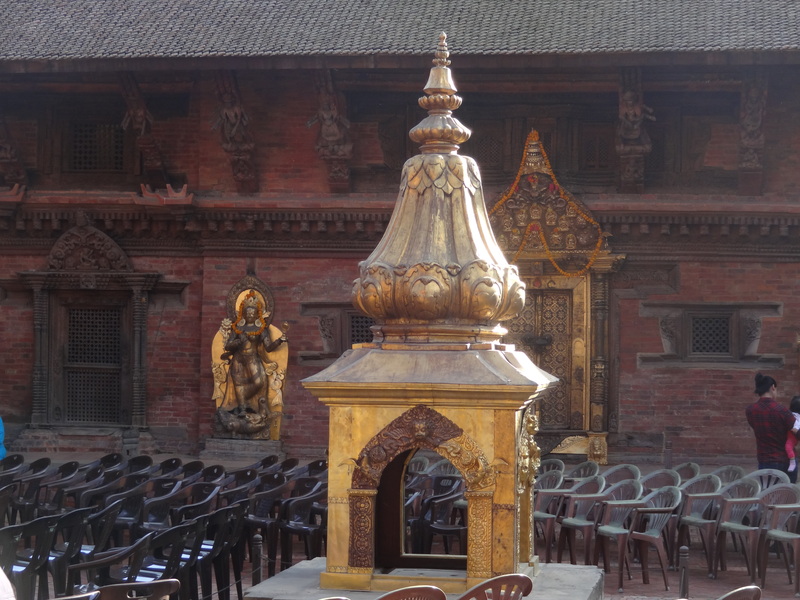 Amid all the dusty, noisy craziness of Kathmandu, after three months of living here, it still surprises me when I come upon ancient corners of the city like Patan Dhurbar Square. Suddenly you are in a whole different world of ornate temples and incredible architecture mixed in with every day life, pigeons, cows and — disappointingly — even motorcycles, which seem to sneak inside without repercussions. 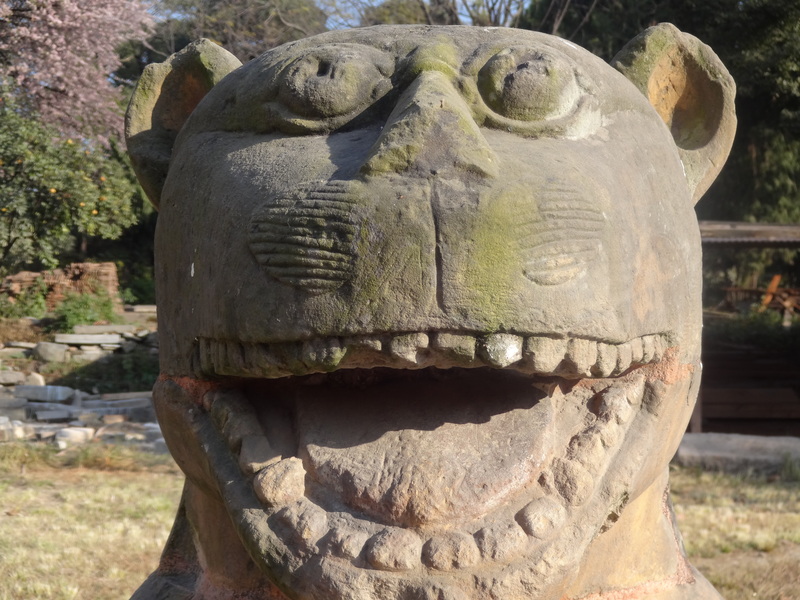 The greater Kathmandu area has three Dhurbar Squares, all of which are UNESCO World Heritage Sites. 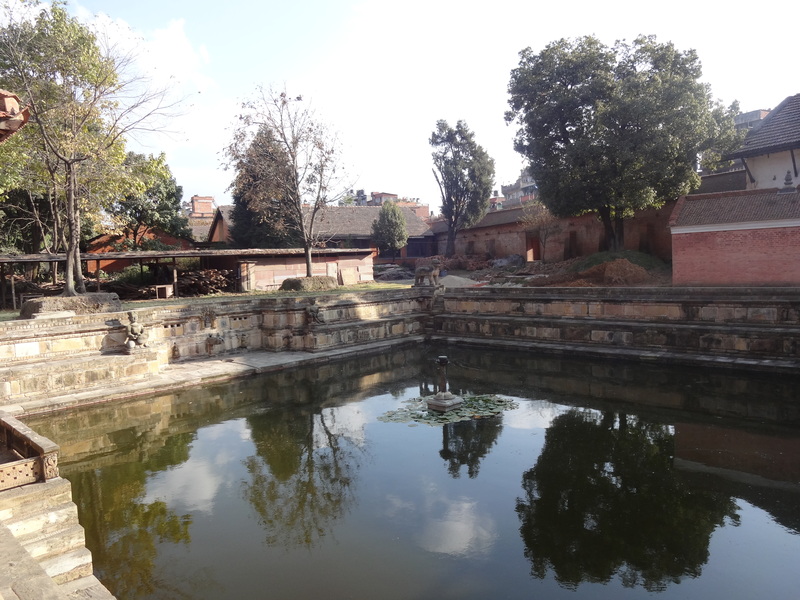 I had visited the other two in Bhaktapur and central Kathmandu, but until last week I hadn’t made it to Dhurbar Square in Patan. It was a Sunday and it was crowded. We edged through the masses en route to an official opening of the Royal Palace restoration. 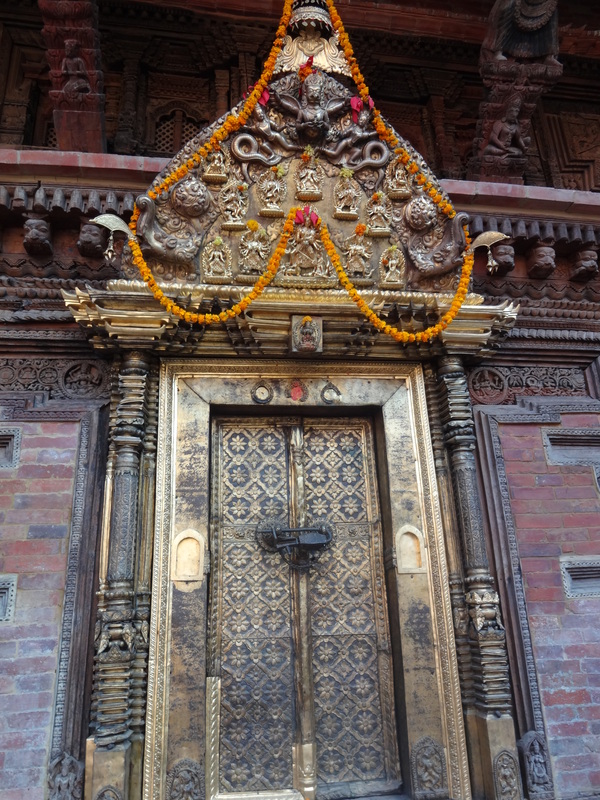 Stepping through the ancient wooden doors with our invitation, it was a different world yet again, this time without the crowds. 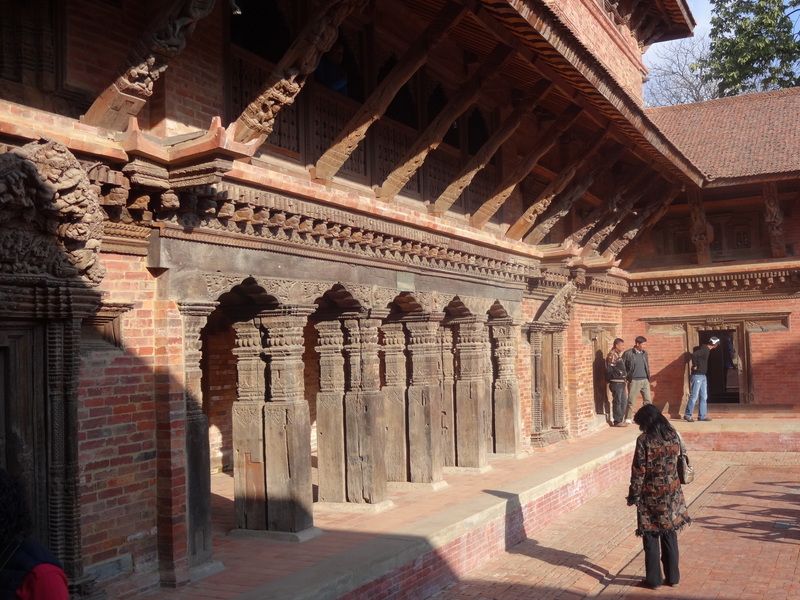 The US Embassy has donated over a million dollars towards the restoration of the old palace and a fantastic job was done to bring this classic Newari architecture back from ruins. 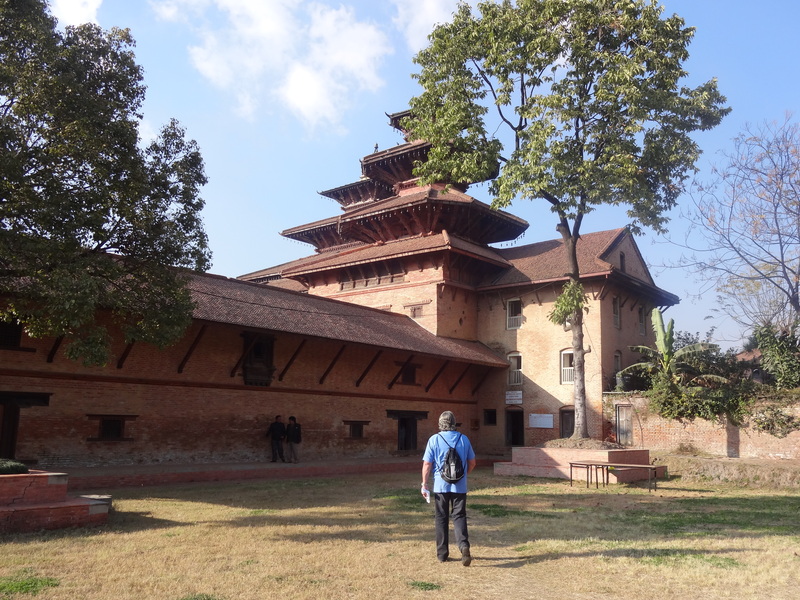 Much of the palace dates back to the 17th century and along with the destructive effects of time and pollution, the Royal Palace has suffered damage from two major earthquakes that left parts of the palace in ruins. 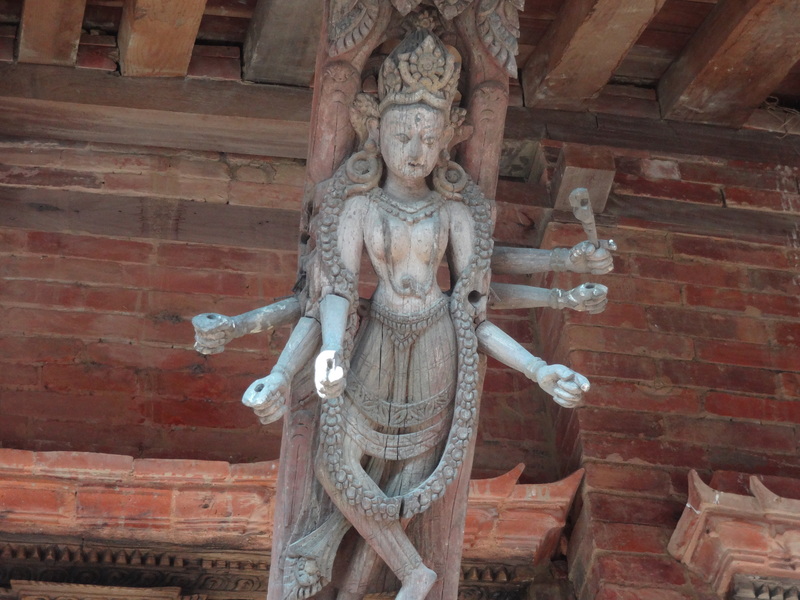 Much of the courtyard contains original 17th century wooden sculptured architecture – and every lintel and column is different.. In the rear, behind the Palace buildings, is a courtyard still undergoing restorations including Tusa Hiti, a restored 17th-century step well. 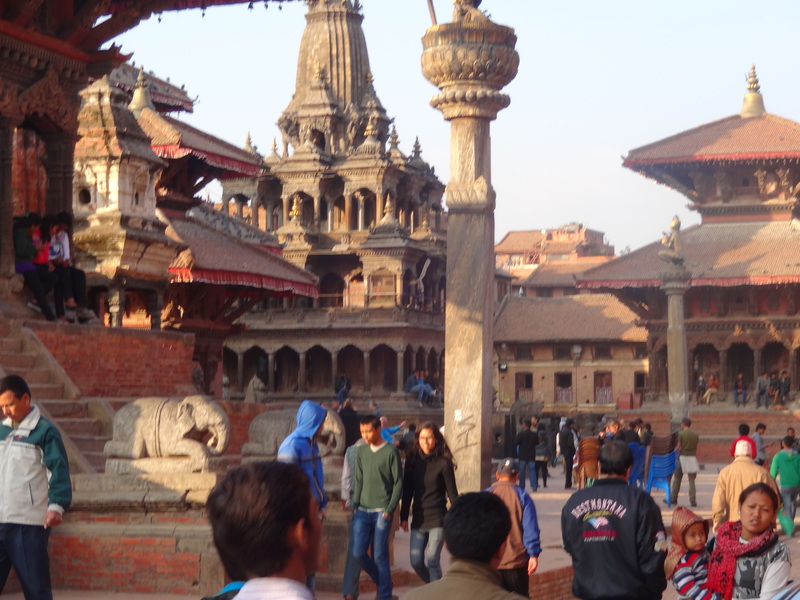 It was amazing to walk around through the ancient grounds, which were peaceful and quiet with the craziness of Patan Dhurbar Square just a few feet away. 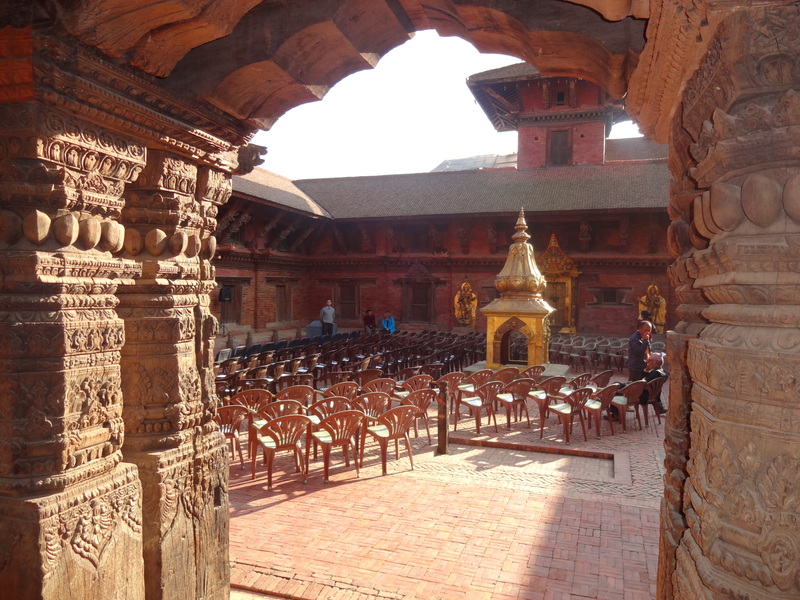 Although some restoration is still ongoing, its wonderful to know the main work that has been done to preserve this amazing architecture and that it is open up to the public so Nepalis and foreign visitors can enjoy this amazing place. We loved touring this square, too. So much detail. So much age. But what a great reflection of culture.